The outgoing Vice-Chancellor, Prof. Rahamon Bello, said though 32,000 applicants to the university scored 200 marks and above in this year’s Unified Tertiary matriculation examination, Unilag would not admit beyond 8,000. 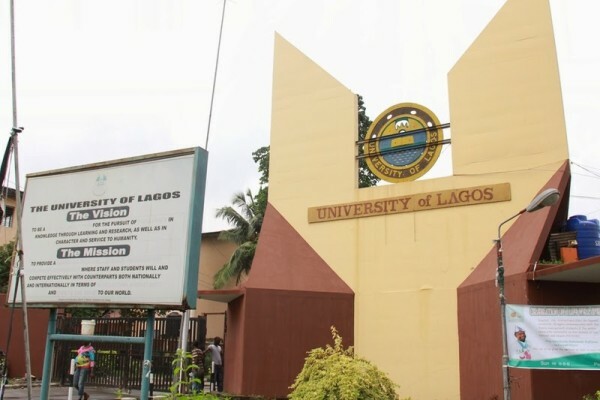 Bello said that the university insisted that an applicant must also score at least 40 per cent in Unilag’s post-UTME before consideration for admission. “We know what goes on in our public examinations. That is why we insist on candidates undertaking our post UTME and scoring at least 40 per cent,” he said. According to Bello, who steps down as Unilag’s Vice-Chancellor on Nov. 11, the aim is to promote excellence. “We admit the best so that we can produce the best,’’ he said. The professor of chemical engineering noted that the university had held a total of 374 inaugural lectures since its existence. Bello said that the university produced 103 professors in the past five years, representing about 20 per cent of the 292 professors it had produced in its 55 years of existence. Bello said that Unilag had to change its curriculum in a bid to sustain academic excellence. “We are neither a technology university nor a business university; we are comprehensive, except for agriculture. He expressed satisfaction at the performance of the university in its new fields of study such as cell biology and genetics. “When we started them, they were almost nothing. “Cell biology and genetics, for instance, are the ones that drive the health sector when you talk about working in the sub-cell region, especially in the area of In-Vitro-Fertilisation (IVF). He also expressed delight at the performance of the university’s creative arts department. “When we started it, some saw it as laughable. Today, most of our graduates are the ones making money in Nollywood,’’ Bello said. Bello, the 11th Vice-Chancellor of the university, came into office in 2012, following the death of the then Vice-Chancellor, Prof. Adetokunbo Sofoluwe. Bello will be succeeded by Prof. Oluwatoyin Ogundipe, the university’s Deputy Vice-Chancellor (Academics).